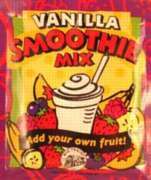 Mexican Cocoa Shaken Lemonade Shaken Tea Smoothie Mix Vivaz! Big Train's Fruit Tea Blast Smoothie is a perfect fusion of fruit, green tea and Vitamin C that makes a great tasting fruit tea smoothie for your customers, any time of the day. No High Fructose Corn Syrup! 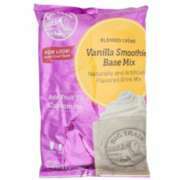 Try adding a scoop of Big Train's Vanilla Smoothie Mix to create an even creamier smoothie. 1-3 of 3 matching items.